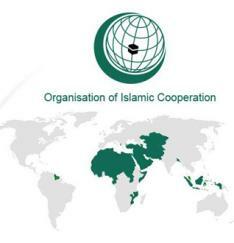 PARAMARIBO - After three rounds of debates, the Parliament of Suriname, with 28 votes in favour, ratified the revised Charter of the Organisation of Islamic Cooperation (OIC) on Thursday amidst an abstention from the Hindustani Party (VHP). Suriname has been a member of the OIC and the Islamic Development Bank since 1996. The VHP claims that many of its questions were not answered, and some members expressed concern of the “Islamic exclusivity” of the OIC Charter, which they claim may infringe on the multi-cultural and secular constitution of Suriname. The minister of foreign affairs of Suriname, Niermala Badrising was in parliament to answer questions. She stressed that the charter does not infringe on the “multi-faith and multicultural” make up of Suriname and that Suriname isn’t and won’t be "Muslim State,” by the ratification of the charter. Some members of parliament have expressed dismayed at the level of Islamophobia, ignorance of the OIC, and rise of anti-Islamic hysteria that some members of parliament have expressed. Among eight Muslim members of parliament, four belonging to the National Democratic Party (NDP) coalition voted in favour of the OIC Charter – Amzad Abdoel, Ruchsana Ilahibaks, Rashied Doekhie and Remi Tarnadi; four who refrained from voting were from the United Hindustani Party (VHP) and Pertjajah Luhur (PL) parties, Riad Nur Mohammed, Krishna Hussainali, Salam Somohardjo and William Waidoe. Amzad Abdul, president of the Commission of rapporteurs, who voted for the charter said that Suriname approved the previous OIC Charter in 1997 and that his country has benefited for many years from its OIC membership. Various projects supported by the OIC have been implemented that have benefited all Surinamese regardless of race and religious affiliation, he asserted. Chan Santokhi, leader of the VHP, and party colleague Krishna Ma sought more information on the loan of US$1.78 billion that the Islamic Bank has offered Suriname to support the economic crisis the country is facing. Finance Minister Gillmore Hoefdraad, who is representing Suriname at the 41st meeting of the Islamic Bank Governors in Jakarta, wasn’t present to answer questions in parliament.